Buy 2 months get the 3rd month free Vouchers. Only one voucher may be used per visit. (Purchase is US DOLLARS - voucher is in CANADIAN DOLLARS) Please use the special code when checking out to get the correct discount. Please read the FAQ's and restrictions. If you have items that need to be stored, we are glad you have come here. 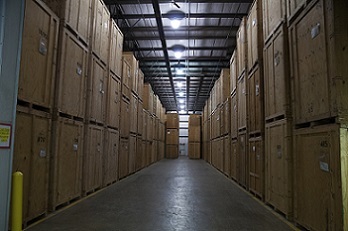 We are proud to offer great service and competitive pricing on our storage units, with no hidden fees or strange calculations. We have clear and transparent pricing and believe in creating a great customer experience. As a local, family owned company, we welcome you here, and we are happy to help in any way we can. If you have storage or moving needs call the number below and we can assist in both areas. We also seek to impact the world through our business, which is why 25% of our profits are donated to charity. When you rent our storage units, you know you are really making a beautiful change to the world. The storage units are 7x6x7 and fit about 1.5 rooms into a unit. Yes, they are in a fully secure, alarmed warehouse. Whenever anyone gets access to their storage unit, they are monitored by a Low Budget Storage staff the entire time they are in the warehouse. Are the storage lockers climate controlled? Can I access my locker at any time? No, the storage unit can only be accessed during business hours, which are Monday to Saturday 9am-5pm. You are required to give at least 2 business days notice prior to accessing your unit. If you require regular access to your locker, this isn’t the best option for you, but if you only need it once or twice a year, that is completely fine. No, $79/month per locker, plus GST is the price. If you require more than 2 visits per year to your locker, there is a $25 charge for each additional visit. All this is mentioned in the contract you read and sign, prior to moving your itmes into storage, so there will be no surprises. We aren’t in the business of pulling “fast ones” on people. We are in the business of providing exactly what we say to our clients. Are you connected with Low Budget Moving? This voucher must be used for 3 months of storage. Must move in during normal business hours (Mon-Sat, 9-5). Please read FAQ's for more information.